Security Deposit: $825 *AVAILABLE FOR April 5th LEASE START!!! 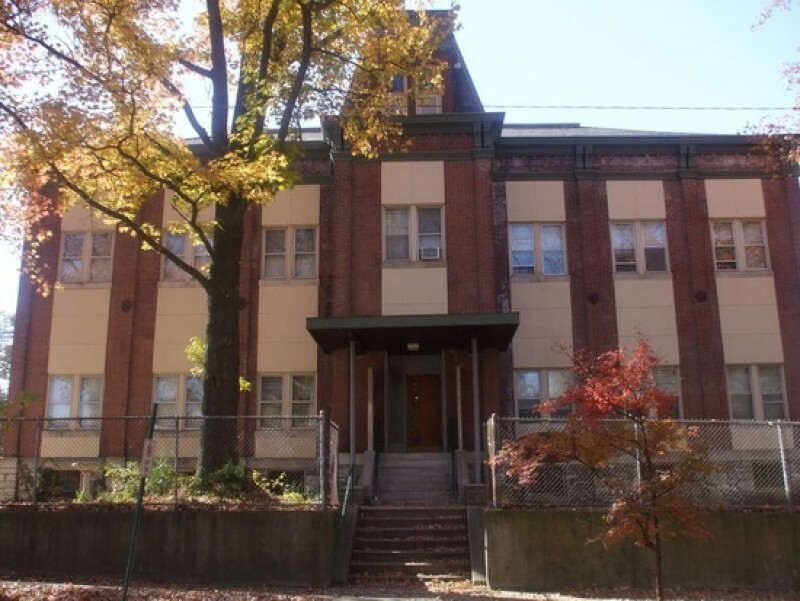 2 BDRM: This first floor unit is underwent a total renovation in 11/2018! Two bedroom, one bathroom 700 square foot apartment is not to be missed! The apartment is in an awesome three story old school house which is on the Belleville Historical Register and located at the corner of Douglas Avenue and East Main Street. The apartment's original hardwood floors have been refinished to capture the charm of this apartment and new wood laminate floors have been put in the kitchen and bathroom. Kitchen and bathroom cabinets have been updated and both boast granite counter tops. Appliances include refrigerator, oven, stove, dishwasher and microwave. Bedrooms are spacious with many tall windows and ceiling fans. Coin operated laundry on site. Front and back entrance of the building have a coded lock and 24 hour video surveillance for added security for our tenants. Some covered parking available, plenty of space. LANDLORD PAYS WATER, SEWER & TRASH!! Neighborhood Amenities: Only a few blocks off of the chic and newly hip E. Main Street in downtown Belleville. Wine bars, tasty restaurants, shopping, art festivals, pubs, nightlife and movie theatre all within a couple minutes walk. Near major roads and bus stops. Five minute drive to Scott AFB.